Mastronardi Produce is North America’s leading greenhouse grower of gourmet vegetables. 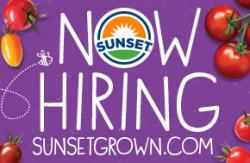 Our produce is packed under our SUNSET® brand and can be found in leading grocers throughout North America. We pride ourselves on having the best products and people in the industry! We seek individuals that deliver PRIDE: Passion | Respect | Innovation | Drive | Excellence… to our customers and one another. The Livonia Distribution Center, a 400,000 sq. ft. refrigerated facility operating 24/7; is currently seeking a Grader to join our team. Work on production lines to sort incoming raw product: peppers, tomatoes and cucumbers; ensuring that all product meets the required specifications for our customers.